Leather sketchbooks are a pleasure to own and use. 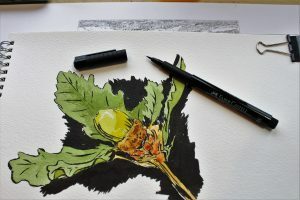 They are designed to be rugged and go anywhere with you; have a pleasing smell, look, and feel; and are perfect for capturing your impressions of life in drawings or words. For aspiring as well as professional artists, it is important to keep a journal of some kind with you at all times, so you can capture inspiration whenever and where ever it strikes. 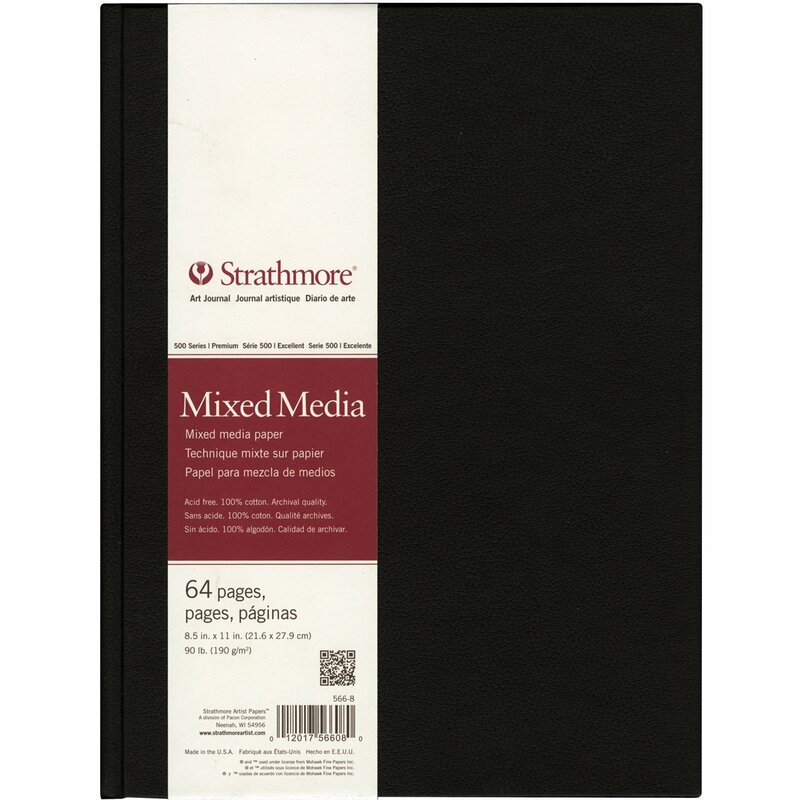 Leather-bound sketchbooks are also incredible for travel, because they allow you to make a scrapbook as you travel and in turns, you can keep all your precious memories in one place. Leather-covered sketchbooks make incredible gifts for the artist, writer, adventurer, and anyone who wants to spend more time on self-reflection and personal growth. 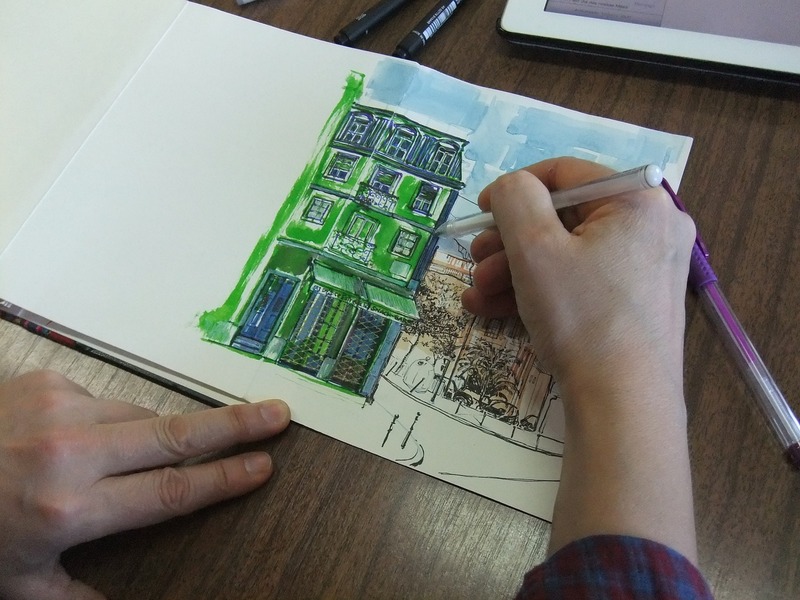 You ought to own one if you haven't already, but these sketchbooks are great as a gift too. We have done the hard work researching, so you won't have to and here are some of the best leather bound sketch books available today. The LEATHER JOURNAL Writing Notebook by Moonster is a great size for travel, at 7 x 5 inches and 1.5 inches thick. 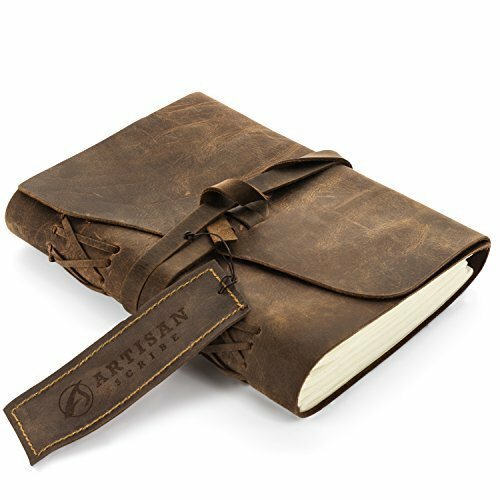 The unique, hand-crafted genuine leather cover is durable, and has a one-of-a-kind distressed surface that only gets more personalized as you live with, travel with, and use this book. The 120 sheets of blank, cotton paper are creamy and thick, with natural fiber variations for a vintage journaling and sketching experience. The LEATHER JOURNAL Writing Notebook by Moonster has a beautiful, asymmetric, leather cover with a handcrafted look an authentic leather smell. The recycled cotton pages are 125 gsm, tree-free, acid-free, richly textured, and hand stitched into the binding. The antique leather strap keeps the journal closed or marks your pages. It's an absolutely beautiful journal, and the perfect size, shape, and rugged durability to go anywhere your travels may take you. It even comes with a one year money back guarantee, and a portion of the profits support charities in Africa. What's to like about the LEATHER JOURNAL Writing Notebook by Moonster? This sketchbook is beautifully handcrafted from natural leather and recycled cotton paper and is the perfect size for travel. The cover is not only beautiful and durable, but it smells like real leather, and only gets more unique as you use it and further distress the cover, adding more character and beauty over time. The thick blank pages are perfect for all kinds of sketching and writing, and the fact that the paper is recycled, and a portion of the profits support charity make this a good gift for a loved one, yourself, and the environment. 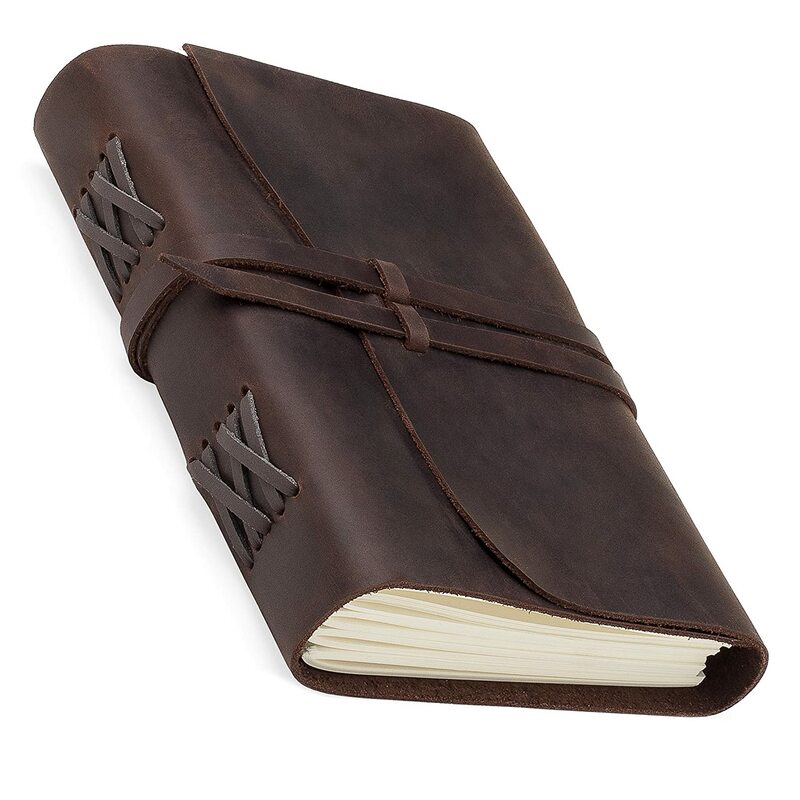 What's not to like about the LEATHER JOURNAL Writing Notebook by Moonster? The authentic leather cover is so durable and wears so well, and it's such an environment-friendly sketchbook, that it would be nice if it were refillable. It would be great to use this notebook for decades, not just fill it once. The Leather Journal Refillable Writing Notebook by Jofelo is made to last a lifetime. This refillable notebook has a cover made of high-quality American leather that is 2mm thick, for rugged durability and protection of your writing and sketches. The internal pen holder, long closure strap, and leather bookmark make it easy to use no matter where you are, and the unique strap-locking system provides additional stability and security. It has 300 pages that are 120 gsm thick, with no bleeding, no blotting, and friendly for all kinds of pens and art materials. The Leather Journal Refillable Writing Notebook by Jofelo is made of naturally tanned and oiled American cowhide, with an authentic smell of leather and soft, supple beauty that only gets more beautiful over time. At 7.5 x 5.5 inches, it's the perfect size to take anywhere, and the handcrafted leather bindings, durable leather straps, and unique strap lock system make it an excellent travel companion. 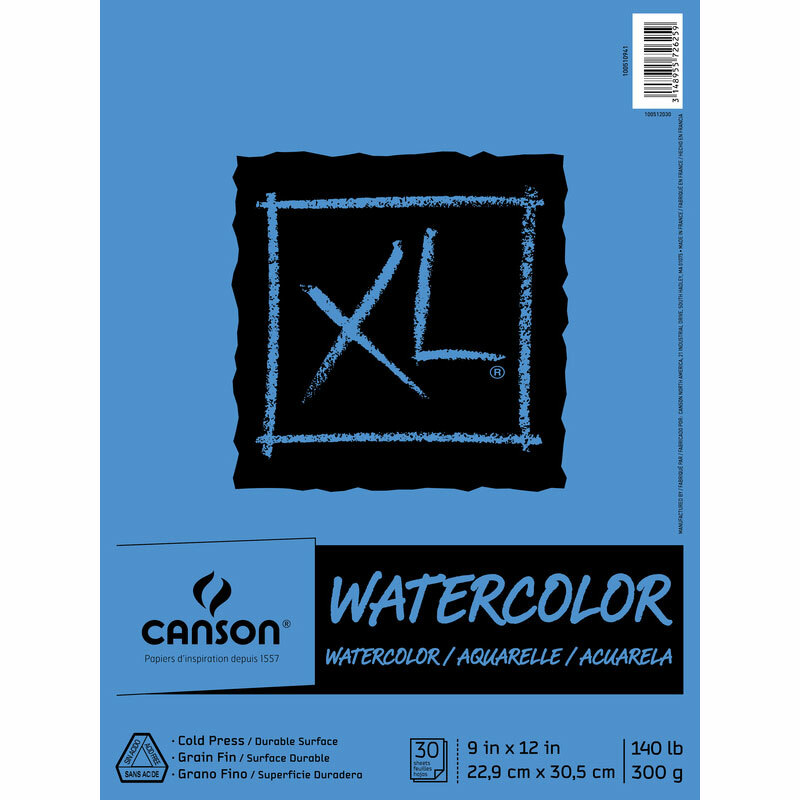 The 300 pages are 120 gsm thick, so inks won't bleed through, and it can even be used for paints, charcoal, and watercolors. It's refillable, so you can use this durable notebook for years to come. It also has a 90-day guarantee. 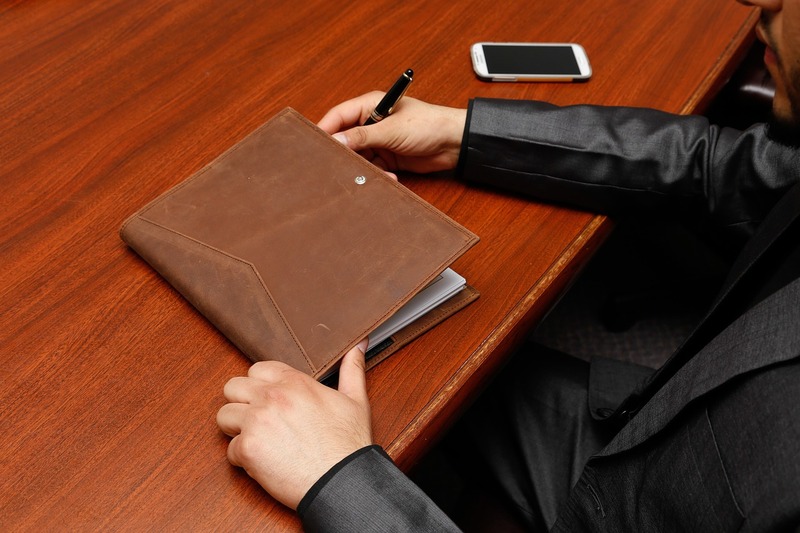 What's to like about the Leather Journal Refillable Writing Notebook by Jofelo? This notebook has a lot of attractive features. The internal pen holder is convenient, as is the leather bookmark, and the compact size and rugged leather cover make it easy to wrap up and toss into a bag or pack and take anywhere. Over time, scratches and distressing of the cover will only make this notebook more unique and personalized. The unique strap secure system keeps the strap from being too long and cumbersome. The fact that it's refillable is great, because you get the most use from the beautiful cover, it's environment-friendly, and refills are available in lined and unlined pages, whichever you prefer. 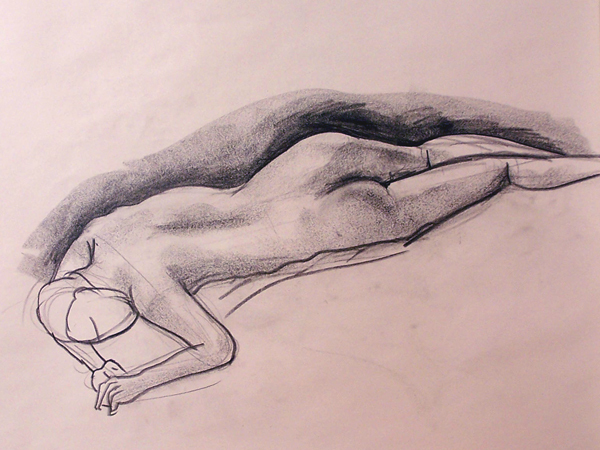 We really can't find any negatives on this sketchbook. The Large Genuine Leather Legacy Journal/Sketchbook with Gift Box by Rustic Ridge Leather is a generous 9 x 12 inches, making it a great choice for sketching and artists who need room for landscapes and expressive gestures. The genuine leather cover is durable and rugged, with a wonderful leather smell and lasting protection. It also comes in a handsome gift box, making it a great choice to give to the writer or artist in your life. The rustic cover of the Large Genuine Leather Legacy Journal/Sketchbook with Gift Box by Rustic Ridge Leather is made of durable, high-quality leather. It is large at 9 x 12 inches and has 400 blank, acid-free pages. The pages are hand-sewn into the leather binding for extra durability, and the long strap holds the notebook securely closed. What's to like about the Large Genuine Leather Legacy Journal/Sketchbook with Gift Box by Rustic Ridge Leather? This is a large notebook, full of 200 sheets of high-quality unlined paper. The pages don't bleed ink, the hand-stitched binding lays flat when opened, and the cover is high-quality genuine leather. It's a large notebook, which is perfect for some people, but others may find it too cumbersome for easy portability. The gift box is attractive, and the smell of the supple, genuine leather is a pleasure for the senses. What's not to like about the Large Genuine Leather Legacy Journal/Sketchbook with Gift Box by Rustic Ridge Leather? The paper is fairly soft, which means that firm ink impressions may show with embossing on the other side, pencil lines may smudge, and it doesn't erase cleanly with a standard pencil eraser. It is also not refillable. 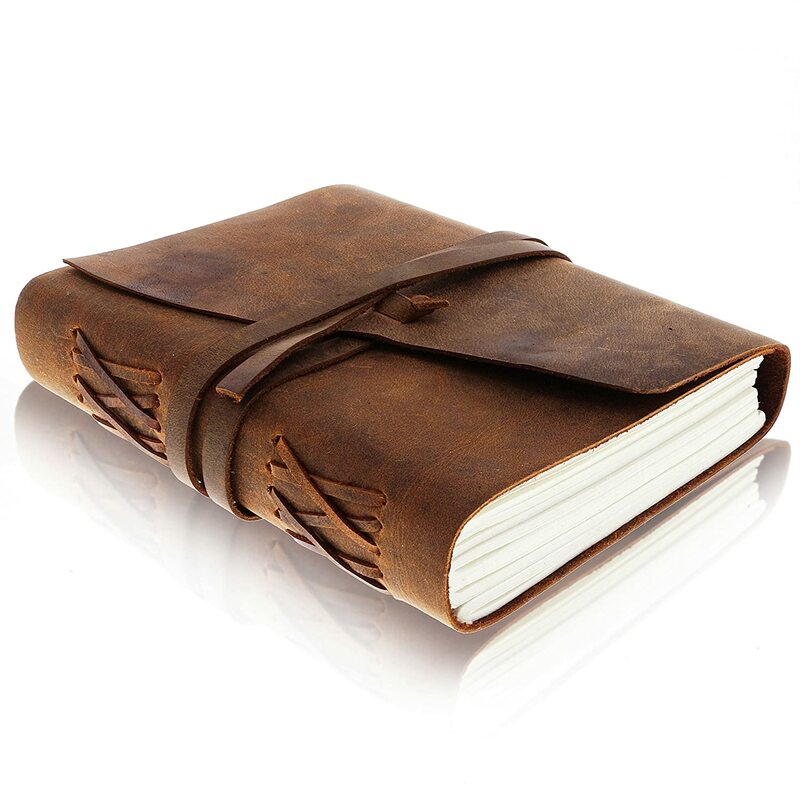 The LEATHER JOURNAL NOTEBOOK by Artisan Scribe is handmade, and so no two are like. 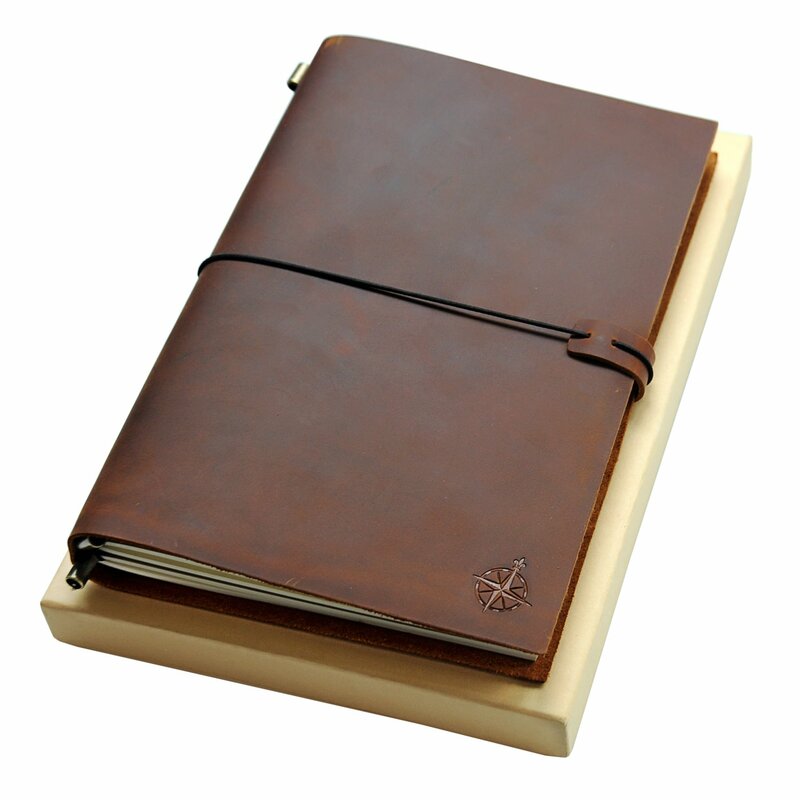 The soft, supple leather is durable and beautifully protects your writing, sketching, and journaling. It comes with a drawstring bag to carry the notebook and any art supplies you want to keep on hand, and also comes with a leather bookmark to keep your place. The LEATHER JOURNAL NOTEBOOK by Artisan Scribe is a compact 7 x 5 inches, perfect for taking almost anywhere, and the rugged leather cover and secure strap make it easy to keep it safe on any adventure. Each leather cover is supple and unique, and smells of genuine leather. The 120 sheets of 120 gsm handmade cotton paper are thick, off-white, and unlined. 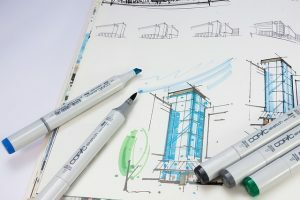 The paper is robust enough to use with a wide variety of pens, markers, even wash watercolor markers with water, with no warping and no bleed-through. It comes with a drawstring bag that will keep the sketchbook and your art supplies conveniently together and on hand whenever you may need them. What's to like about the LEATHER JOURNAL NOTEBOOK by Artisan Scribe? This notebook is a perfect size for taking anywhere, and the included drawstring bag is a great accessory. Because the thick pages can withstand markers, paint pens, and other art supplies, it's nice to have the bag to keep them with the notebook. The pages are also rugged enough to withstand erasing. 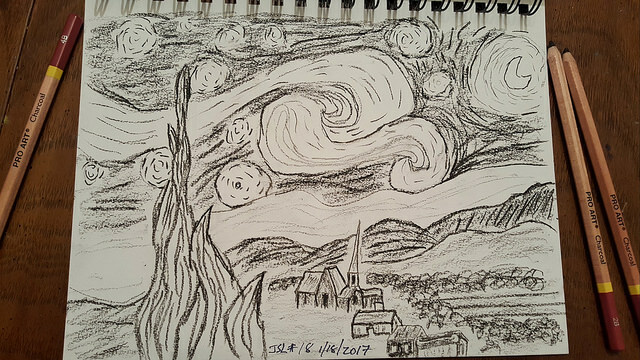 Because the paper is handmade from cotton, it has texture as well as thickness, which adds a unique quality to sketches and artwork. The cover is rugged and durable, but also supple and attractive. What's not to like about the LEATHER JOURNAL NOTEBOOK by Artisan Scribe? As with so many of these exceptional handmade leather covered journals, it would be nice if the pages were refillable. The Large Leather Journal by Wanderings is a generous size, with high-quality, full-grain leather that feels and smells good. The thick, 120 gsm paper is substantial enough to use with ink, fountain pens, and even paint. This journal is easily refilled, and durable enough to last for decades. The naturally tanned cover of the Large Leather Journal by Wanderings is made of high-quality leather that will grow more unique and beautiful over time. 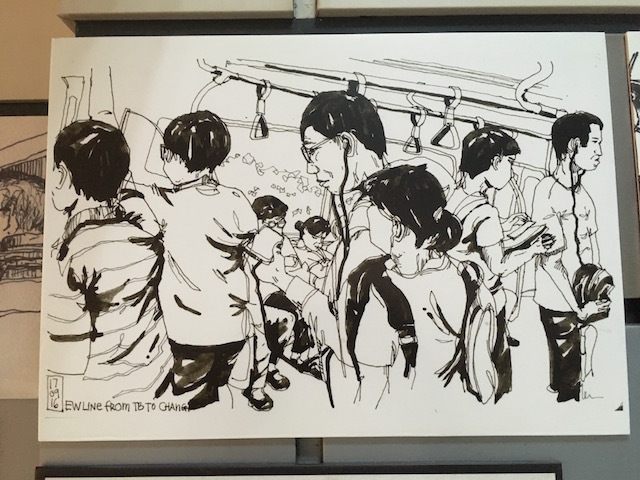 It has 90 sheets of unlined 120 gsm paper that is fountain pen friendly and thick enough to be painted. The large 11 x 7.5 inch size gives ample room for sketches, notes, and writing, and the notebook is refillable for years of use. Refills are available in lined or unlined sheets, and you can also replace the elastic bands that hold the refills in place when they eventually wear out. What's to like about the Large Leather Journal by Wanderings? This leather journal is a great size for those who like large journals, with plenty of room for notes, sketches, or scrapbooking. The unique elastic-and-leather closure is compact and durable, but also replaceable should it ever wear out. The thick paper is substantial enough for a wide range of art styles and materials without bleeding through. 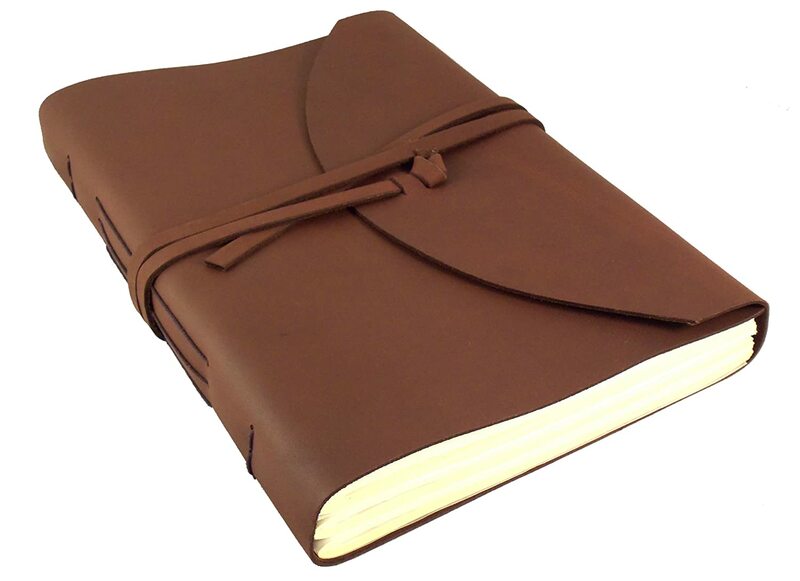 What's not to like about the Large Leather Journal by Wanderings? For some people, this size is simply too large to be easily portable. However, this same journal is also available in smaller sizes if you need something that will pack and travel more easily. 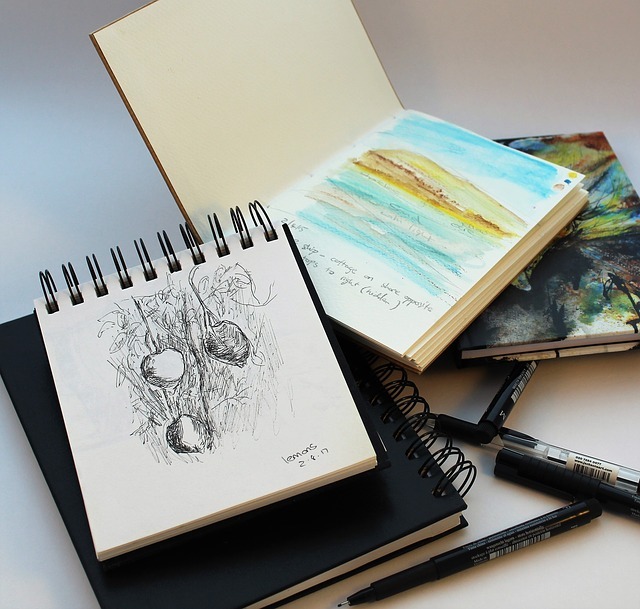 Leather sketchbooks are designed to be rugged which makes them a great choice for traveling. When it comes to choosing a leather-bound sketchbook, you are spoiled for choice. 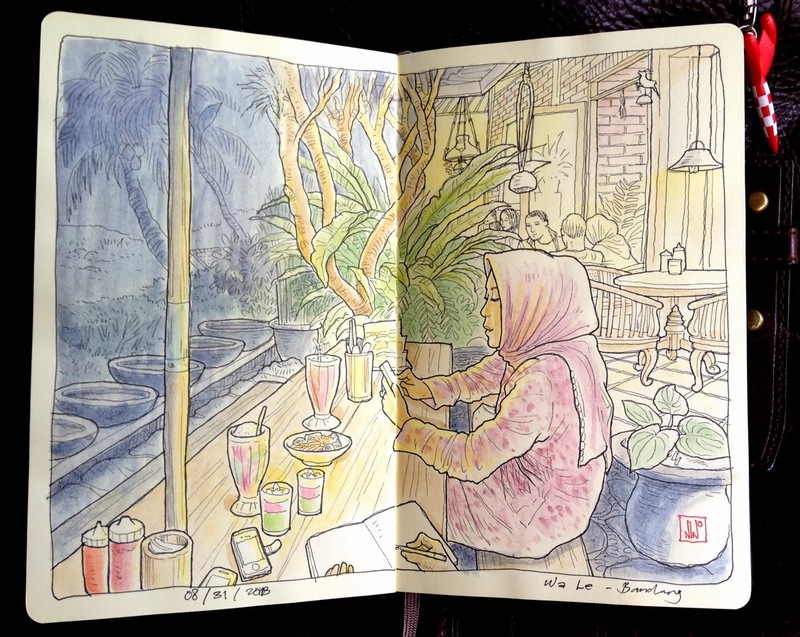 The sketchbooks from Moonster, Jofelo, and Wanderings are the three that really stand out. They are beautifully designed and compact for travelling. Our web master said that the RSS seems to be working fine from our end, what RSS client do you use?